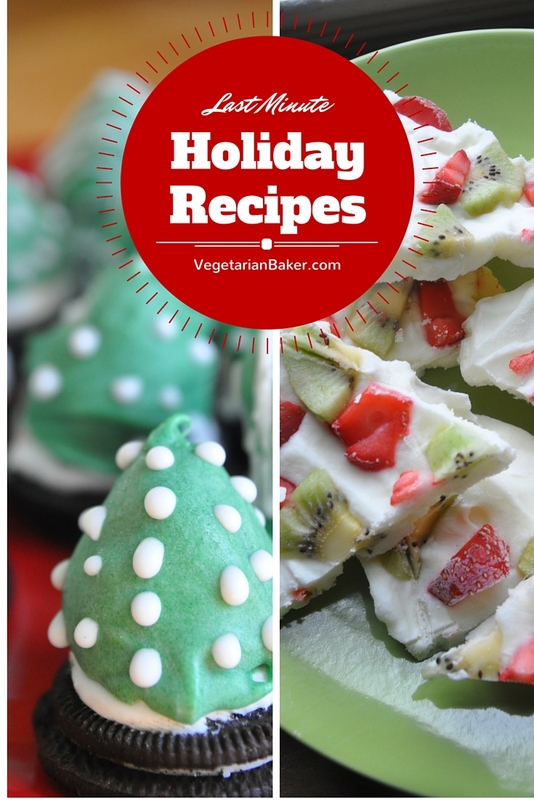 A healthy snack to enjoy year around, but a great way to share off your Christmas spirit with the red, white, and green colors. Place your yogurt into a parchment lined cake pan. Smooth it out so that it is flat all across and about a 1/4 of an inch thick. Sprinkle your sliced or chopped fruits over it. Freeze until completely set. Break apart your bark and store in the freezer. 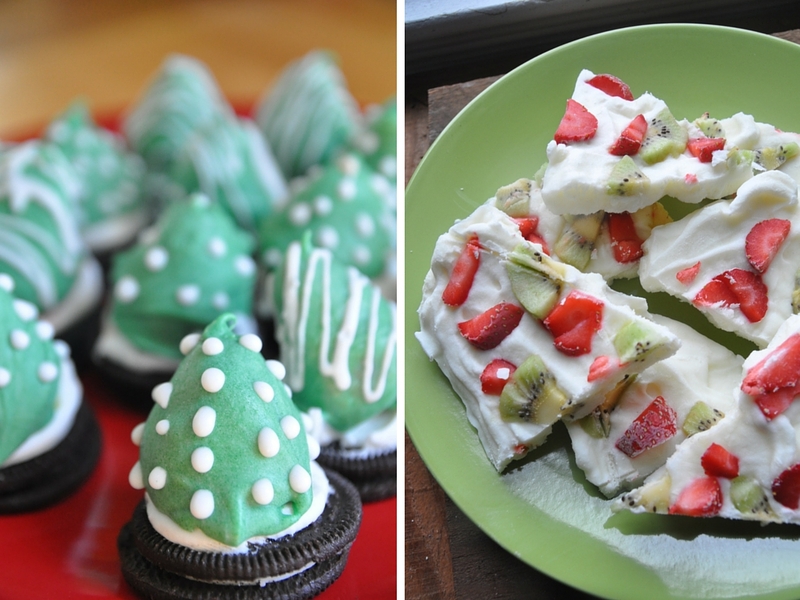 A festive treat that are so much fun to make. Start off by melting your green candy melts over a double boiler. If you can't find candy melts, you can use white chocolate that you dye green. Set aside. Take your favorite buttercream and add a dollop to the top of each of the oreos. Spread around with a baby offset spatula. Dip the strawberries into the candy melts and shake of any excess. Place the coated strawberries on top of the oreo. Decorate your "trees" with some royal icing. Allow it to set for about 10 minutes in the fridge. Store in the fridge while you aren't enjoying them. I like to touch up the trees with some of the extra candy melt to ensure that none of the red is showing through.